Though WordPress is built with robust blogging features and emerged as a content management system (CMS) in recent times, it lags built-in SEO capabilities like automatic Sitemap, robots.txt editor, etc. Since the nature of self-hosted WordPress site demands the basic editing capabilities of root files like .htacccess, it is necessary to look for a packaged plugin with all SEO needs. “All in one SEO” plugin offers most of the needed SEO capabilities under single umbrella and no wonder it is one of the most popular plugins in WordPress repository downloaded more than 15 million times. We will discuss various features covered under each section in detail. This section is packed with as many as features and we will look in to the most needed ones by all site owners in general. Since www and non-www sites are considered as two different sites by Google, setting 301 redirect at site level is necessary to avoid any penalties due to duplication issue. 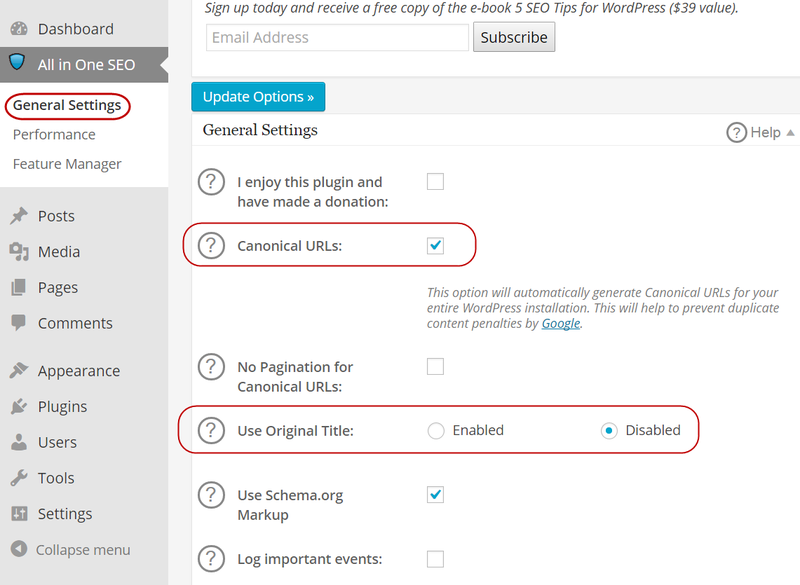 Enabling “Canonical URL” will set auto redirection for your entire WordPress installation in one click. Enable this option if any other plugin on your site interfering the title tag created by “All in One SEO” plugin. 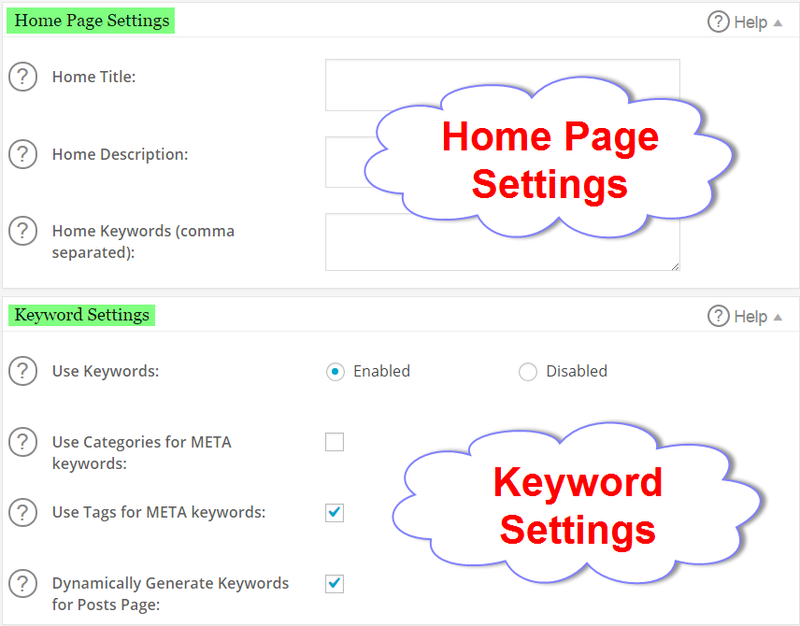 Customize title, meta description and keywords for your home page under “Home Page Settings” and enable or disable meta keywords under “Keywords Settings”. If you always wonder how people are showing different type of separators in title when showing in the search results pages and on the browser tab, then the answer is here. Enable “Rewrite Titles” option to consider the title tag to be displayed in the chosen format available below this option. 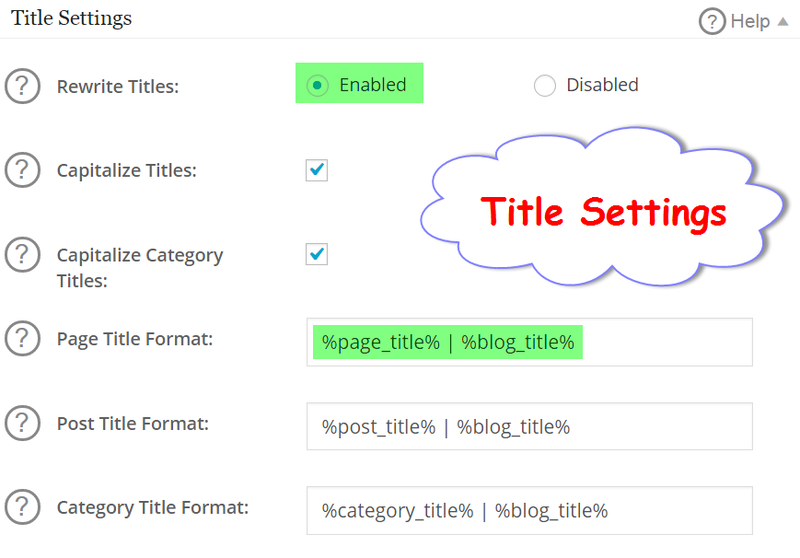 For example if you can enter “%post_title% < %blog_title%” in the “Post Title Format” to separate the post title and blog title with “<” symbol. 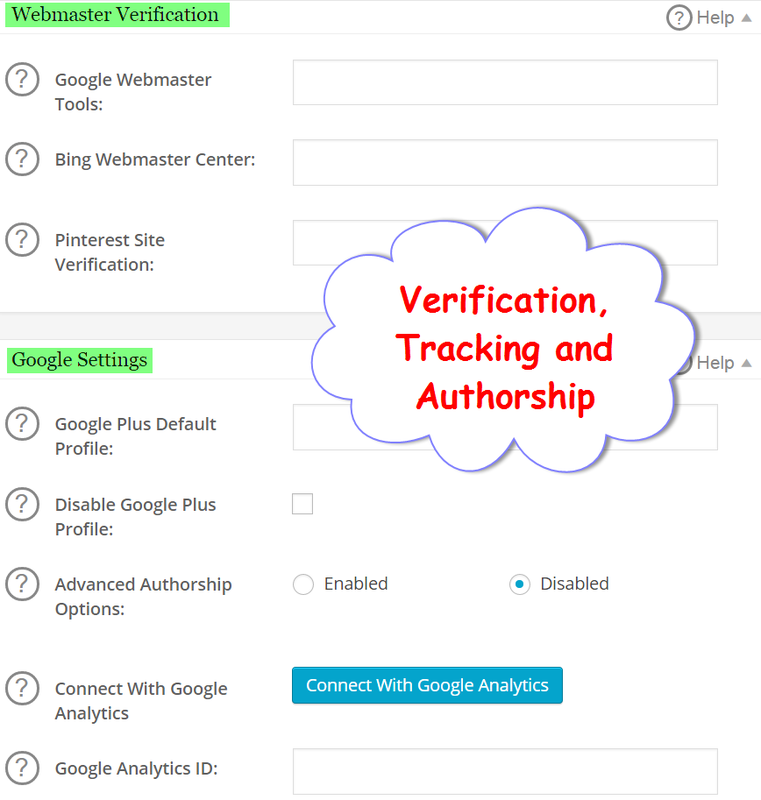 “All in One SEO” plugin makes it very easy to verify your site with Google and Bing Webmaster Tools along with Pinterest verification. Just paste the verification code and save your changes to verify your site. Same manner you can add Analytics tracking code to your site and connect with Google Analytics. Other important setting available is to add authorship to your site using Google+ profile in order to show the author name in search result pages. Use these settings to inform search engines to no-index the chosen taxonomies and exclude pages from “All in One SEO’ plugin. 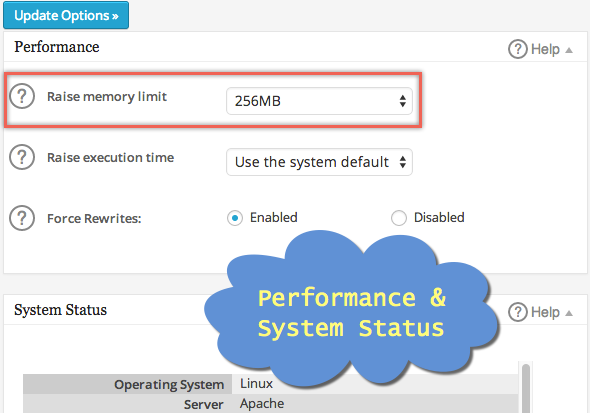 Here you can set performance related parameters like increase PHP memory limit and execution time along with system and plugins status. Feature manager is the collection of additional features you can activate or deactivate independent of other settings. This one of the most important feature allows you to generate XML Sitemap for search engine submission. The Sitemap format will be like “http://your-site-name.com/sitemap.xml” which you can submit to Google and other search engines. This is a simple Sitemap compared to Sitemap index file generated in Yoast SEO plugin. The priority and change frequency are automatically determined by the plugin. We can also expect Video Sitemap soon from “All in One SEO”. Activating robots.txt feature will enable additional menu as “All in One SEO > Robots.txt”. 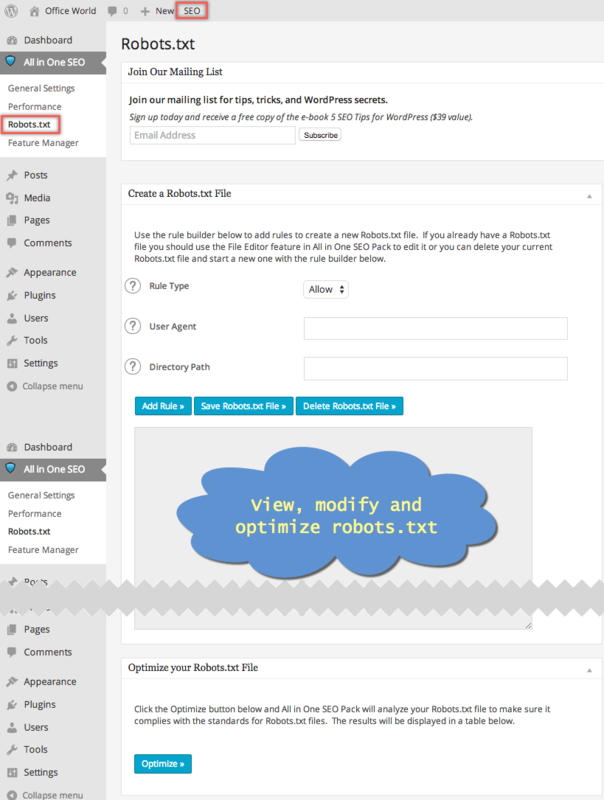 Here you can view the existing robots.txt file, add additional rules and optimize for standardization. 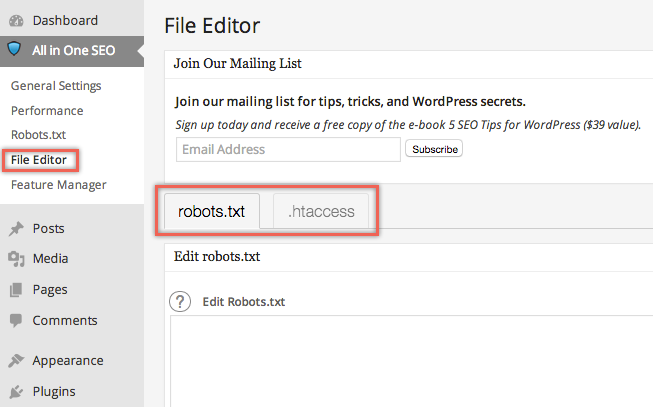 File editor allows you to edit robots.txt and .htaccess file from your WordPress admin dashboard. Enabling this feature also will add additional menu in the sidebar.